When you think of a celebrity who loves to give back, who comes to mind? I bet it is none other than Ellen DeGeneres. 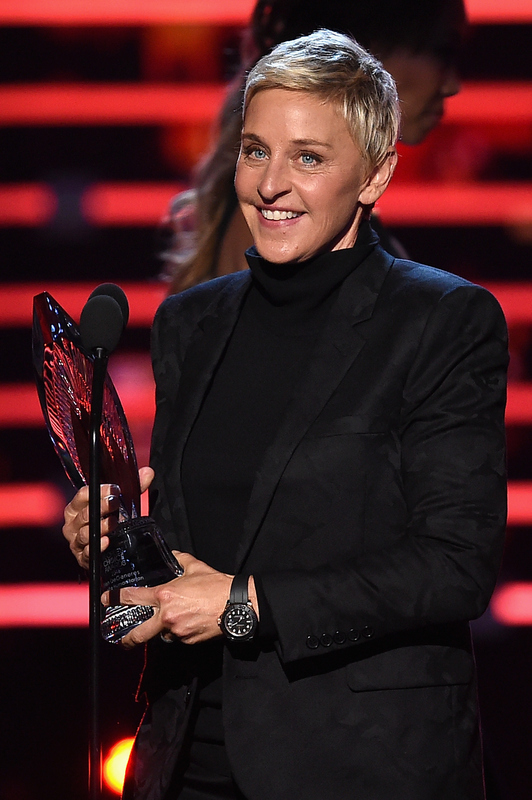 Well, Ellen DeGeneres just won People's Choice Humanitarian Award, in addition to Favorite Talk Show Host. Is there really anyone more deserving? There is no one who has earned it more than the comedian who brings love, smiles, and laughter into millions of homes each day. As she says during each taping of her talk show, The Ellen DeGeneres Show, "Be kind to one another." Well, there's no doubt she showcases that daily through her words and most definitely her actions. Anyone who tunes into her talk show every day can expect DeGeneres to improve someone's day with one kind gesture. If viewers should learn anything from her, it is how to care and be generous to everyone. It’s a little strange to actually get an award for being nice, and generous, and kind, which is what were all supposed to do with one another. That’s the point of being a human. I mean, would I call myself the Mother Teresa of talk shows? The Dalai Lama of daytime? No, but I'm sure someone out there has. I read an amazing quote recently: “What if there was no love, just proof of love?” I don't know if it was from the Bible or an Instagram, but it was really powerful to me. So my wish is for — we have a lot of people watching in a lot of different countries, and I want everyone to know that we really, really love one another. Deep down we all love one another, and we need to get back to that. And with that, let's all remember to be kind to one another, because Ellen always knows what she's talking about.